LOS ANGELES, CA -- The mother of a fugitive teenager known for using an "affluenza" defense in a deadly drunken-driving case has agreed to be sent from California to Texas to face a charge. 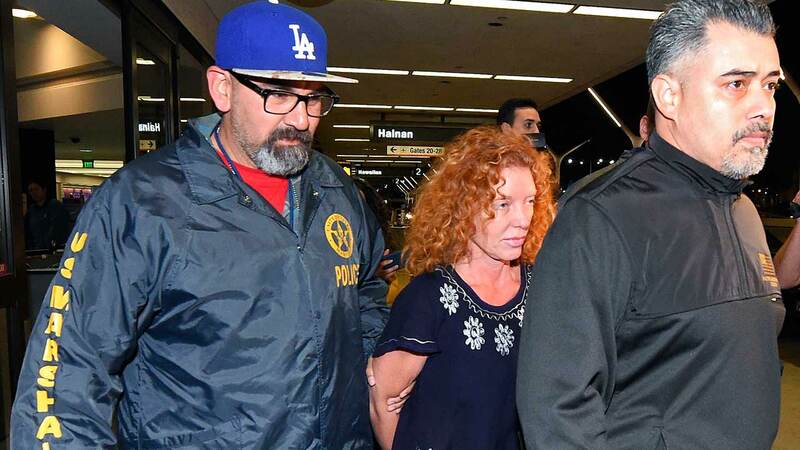 Tonya Couch appeared Tuesday for an extradition hearing in Los Angeles, where she was flown last week after being deported from Mexico. It's unclear when she will be sent to Texas, where she's charged with hindering the apprehension of a felon. Couch and her 18-year-old son, Ethan, were apprehended last week in Mexico, where authorities believe the pair fled in November as Texas prosecutors investigated whether he had violated his probation in a car crash that killed four people. Her attorneys have said that Couch wanted to return to Texas as soon as possible to have her day in court, saying she violated no laws.